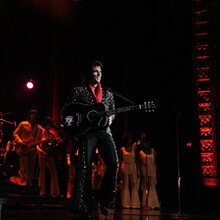 It all began with the creation of Elvis Story, which became the most popular variety show in the history of Quebec City show business. 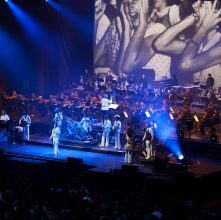 It was presented from 1995 to 2007, and again in 2009 and 2010 at Le Capitole de Québec. 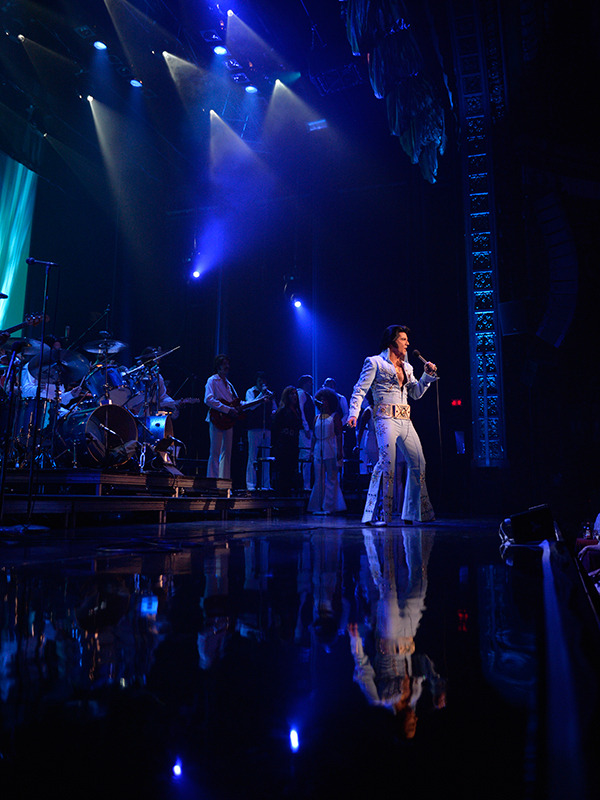 This show told the story of the greatest star of rockʻnʼroll, from his humble beginnings to his death in 1977. 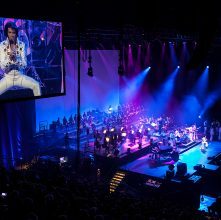 It was presented over 1,500 times around the world, in Canada, France, the United States, Japan and China in front of nearly 1.7 million spectators. 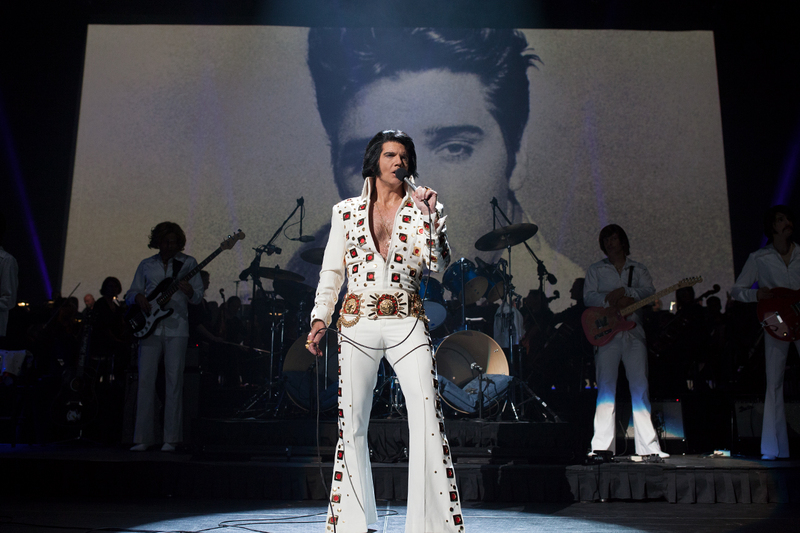 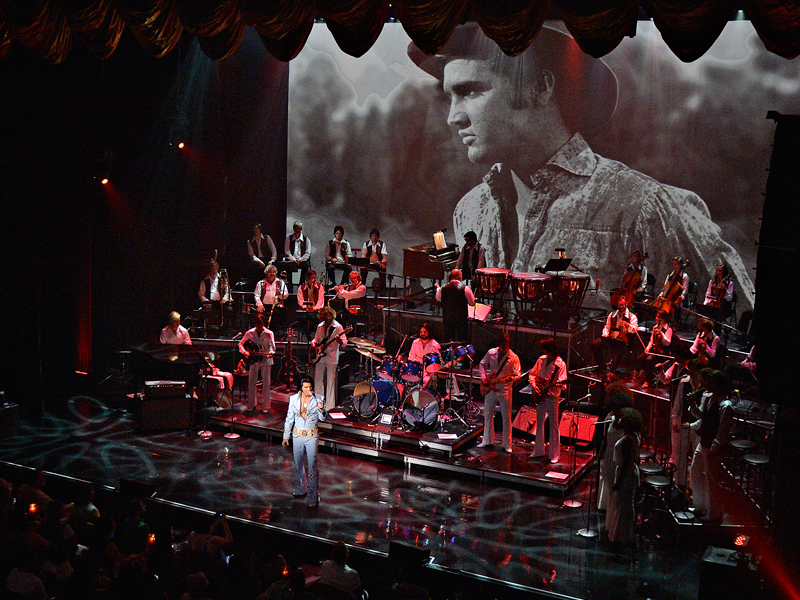 Following this phenomenal success, LCQ Productions has concentrated its efforts to develop a new large-scale production entirely devoted to Elvis’ unforgettable Las Vegas years. 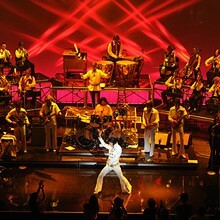 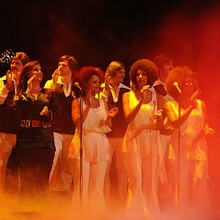 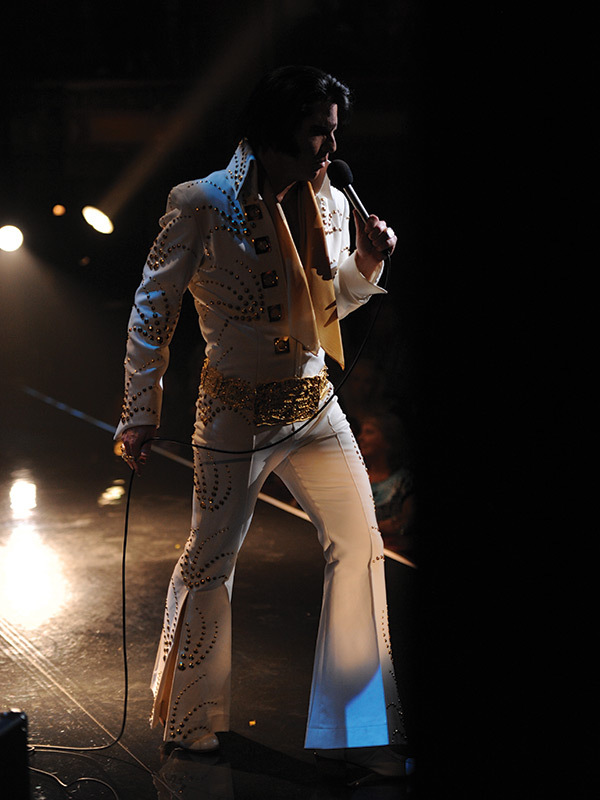 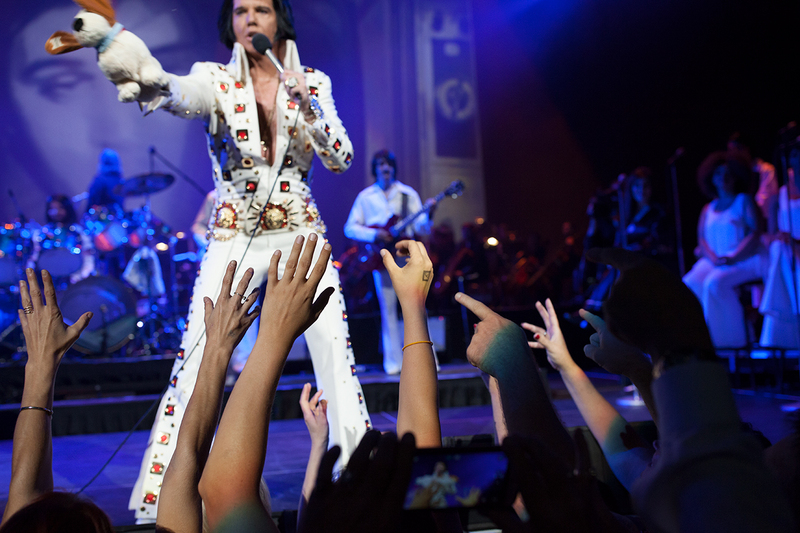 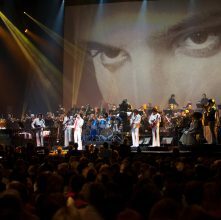 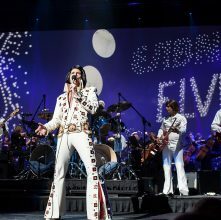 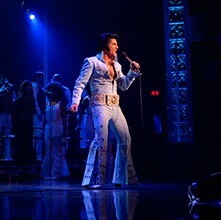 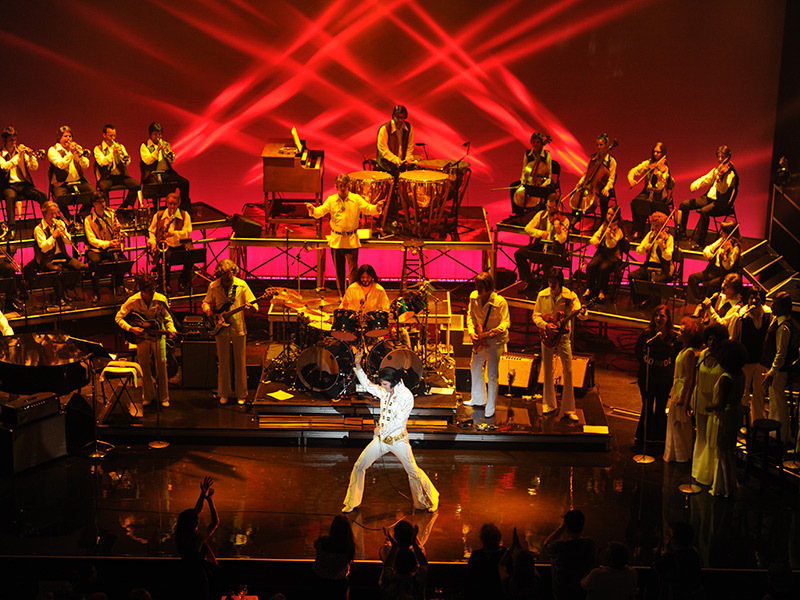 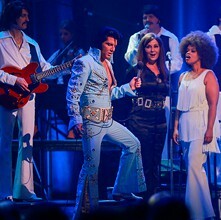 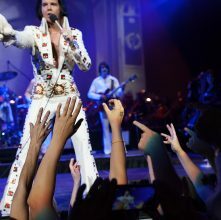 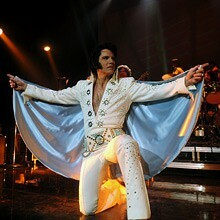 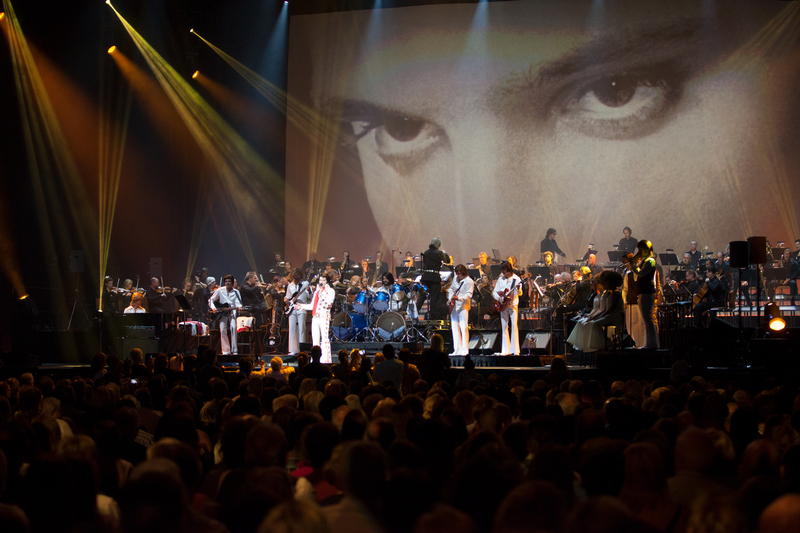 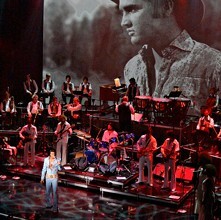 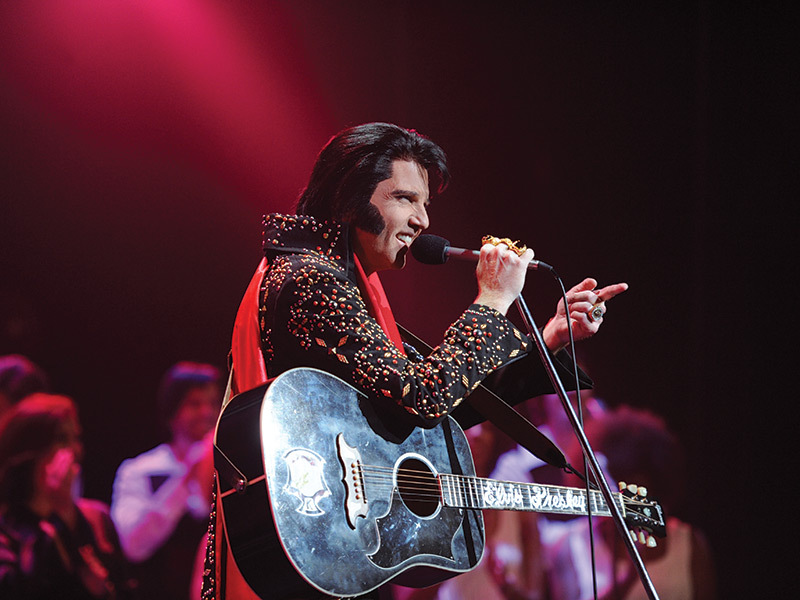 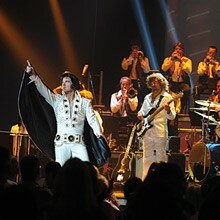 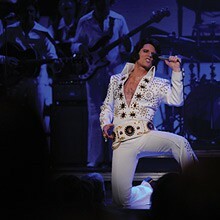 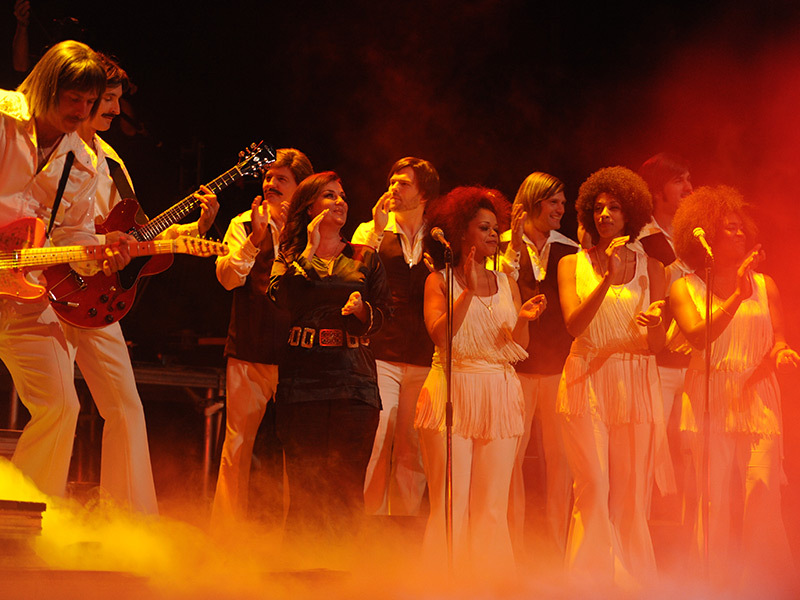 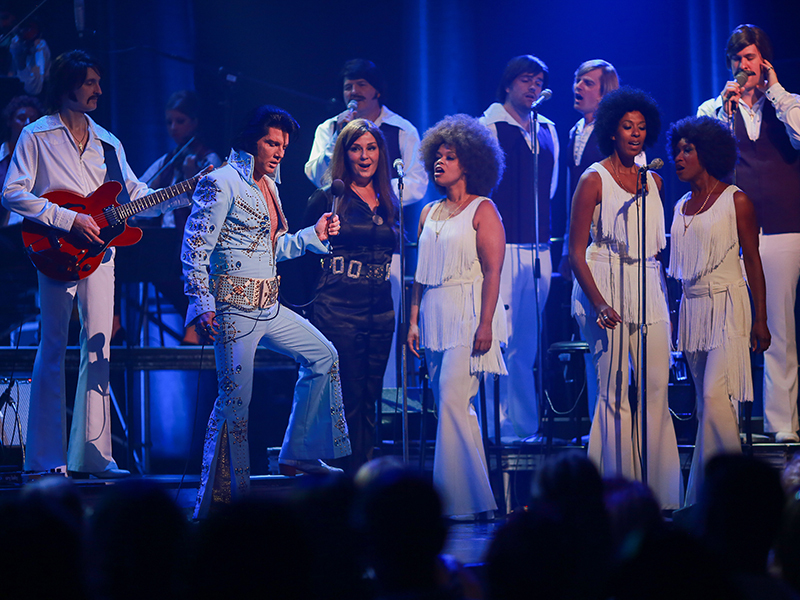 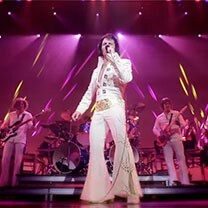 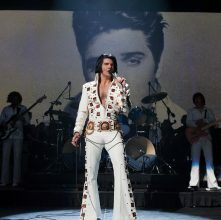 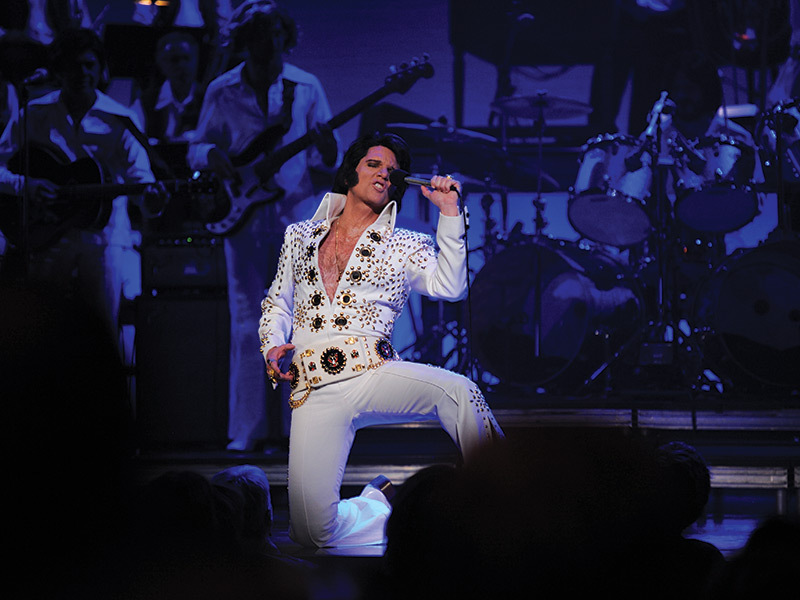 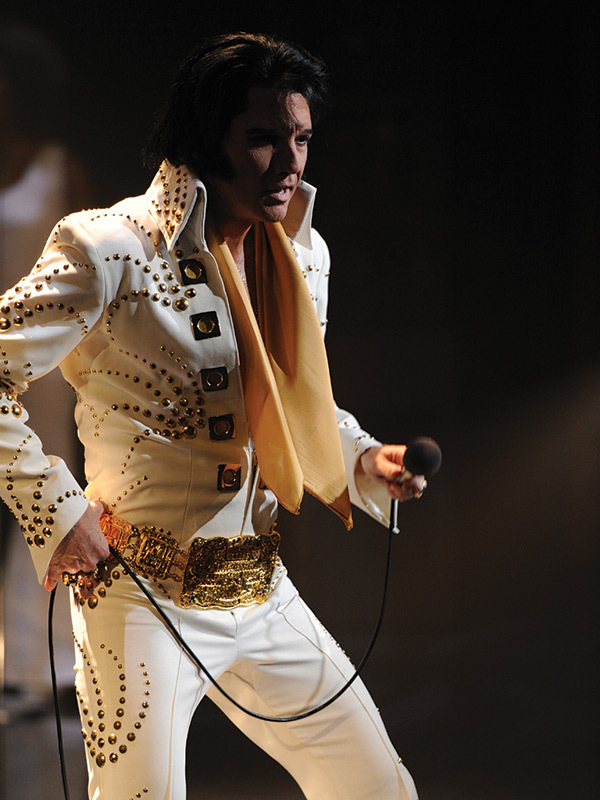 Accompanied by 24 musicians and 8 backup singers, the incomparable Martin Fontaine takes you back to the early 1970s, portraying Elvis Presley at the peak of his career, allowing the spectator to relive the exciting experience of attending a concert given by the King at the Las Vegas Hilton. 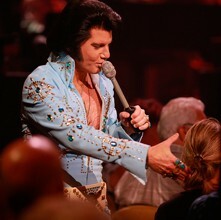 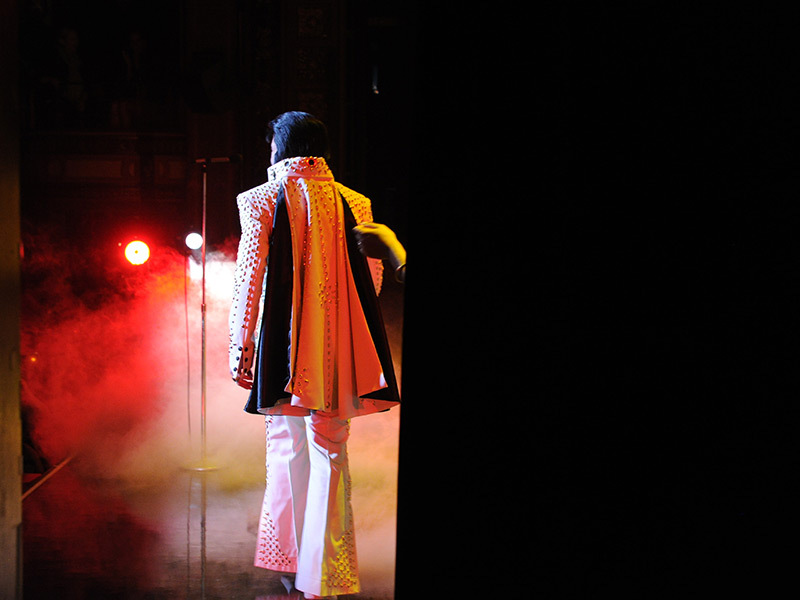 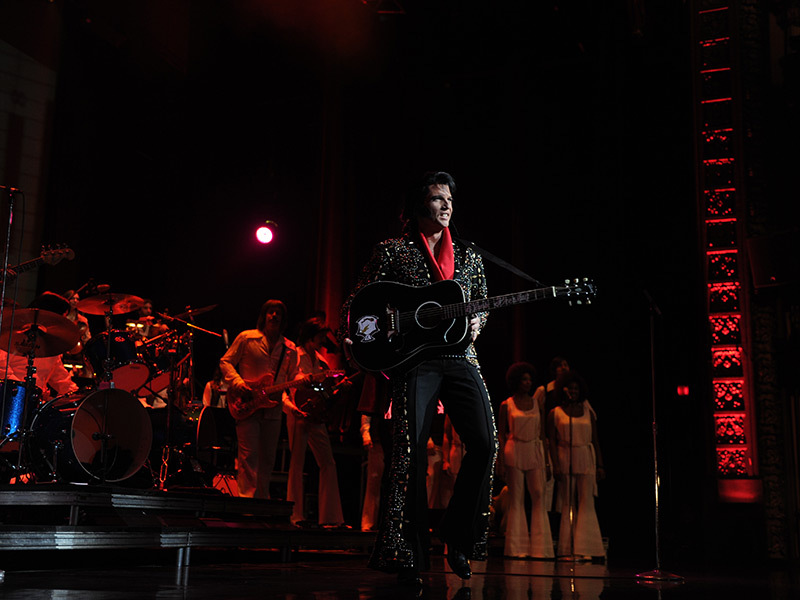 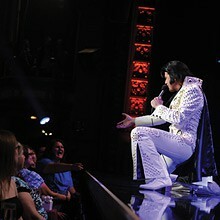 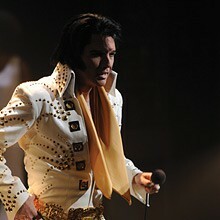 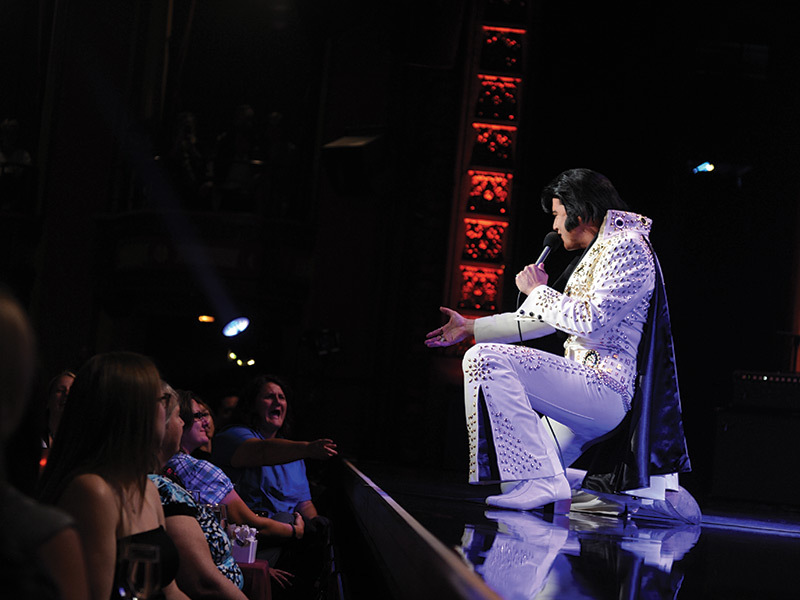 The Elvis Experience show was sold out at Le Capitole theatre for the summers 2013 to 2016. 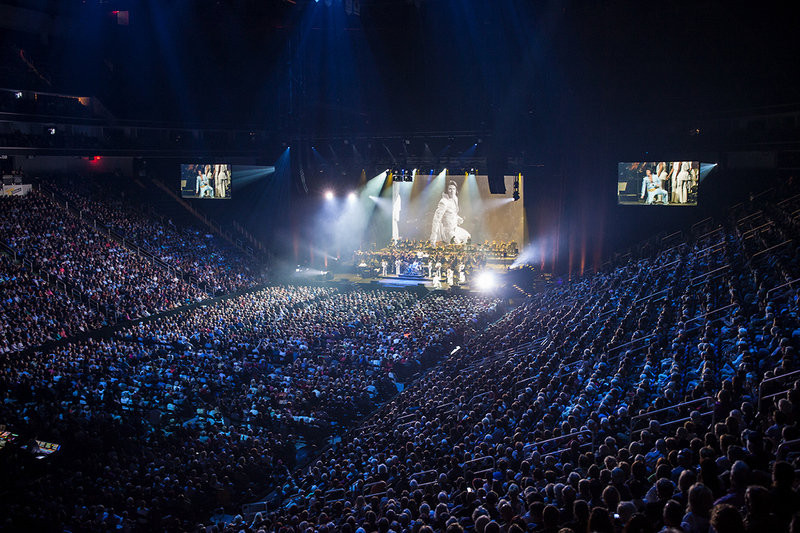 Besides having been presented in other theaters, such as at the Casino du Lac-Leamy, the entire production also flew to Paris in December of 2014 to offer five representations for the Parisian audience in the mythical Palais des Sports theatre. 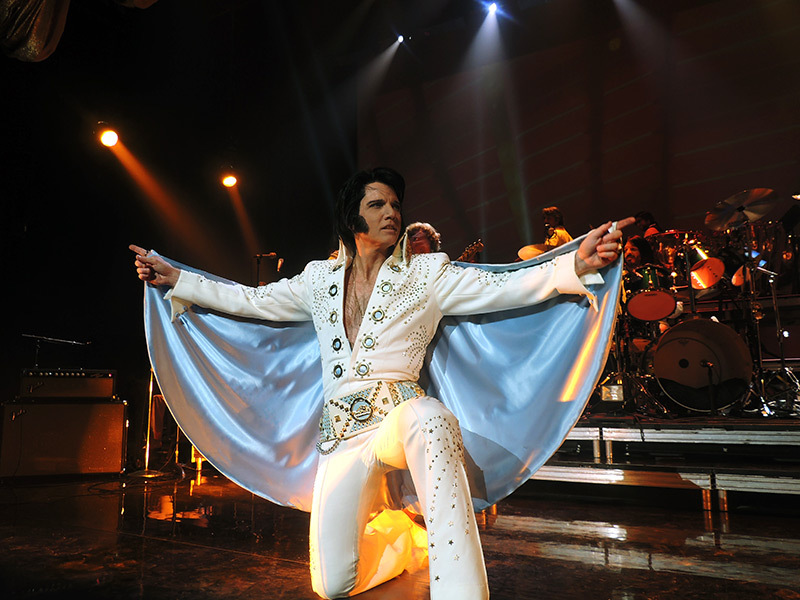 After weeks of negotiations, Martin Fontaine, Jean Pilote and the entire production team were successful, and an agreement was signed to bring Elvis Experience to Las Vegas. 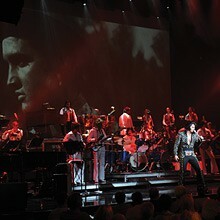 The show was in residence for a five-week run at the Westgate Las Vegas Resort & Casino, the very same venue where Elvis Presley himself performed more than 600 sold-out concerts! 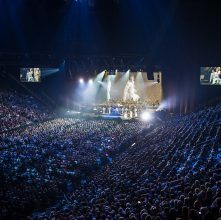 This show-stopping performance in the Entertainment Capital of the World preceded two more seasons at Le Capitole de Québec (summers 2015/2016) as well as a first foray into the Montreal market in March of 2016. 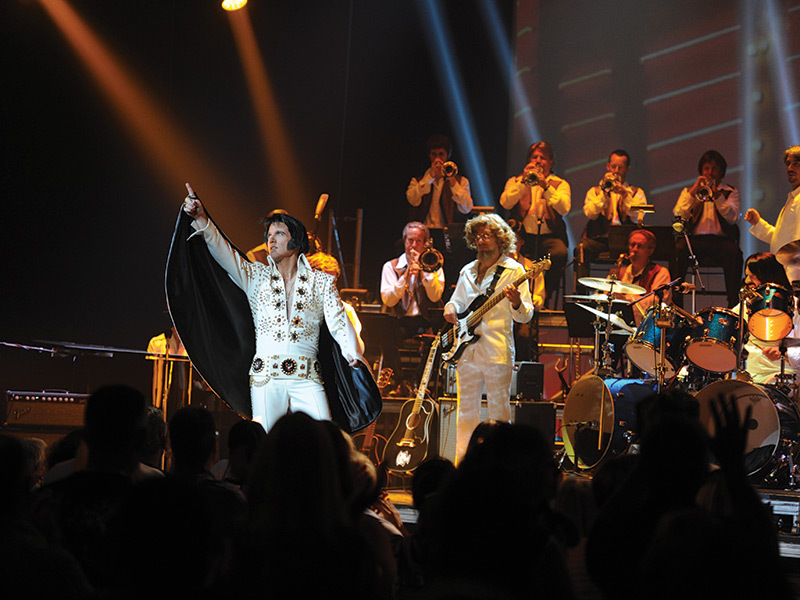 In the summer of 2017, Martin Fontaine and his team took the show on the road for a total of 21 performances accross the province of Quebec and in Ottawa. 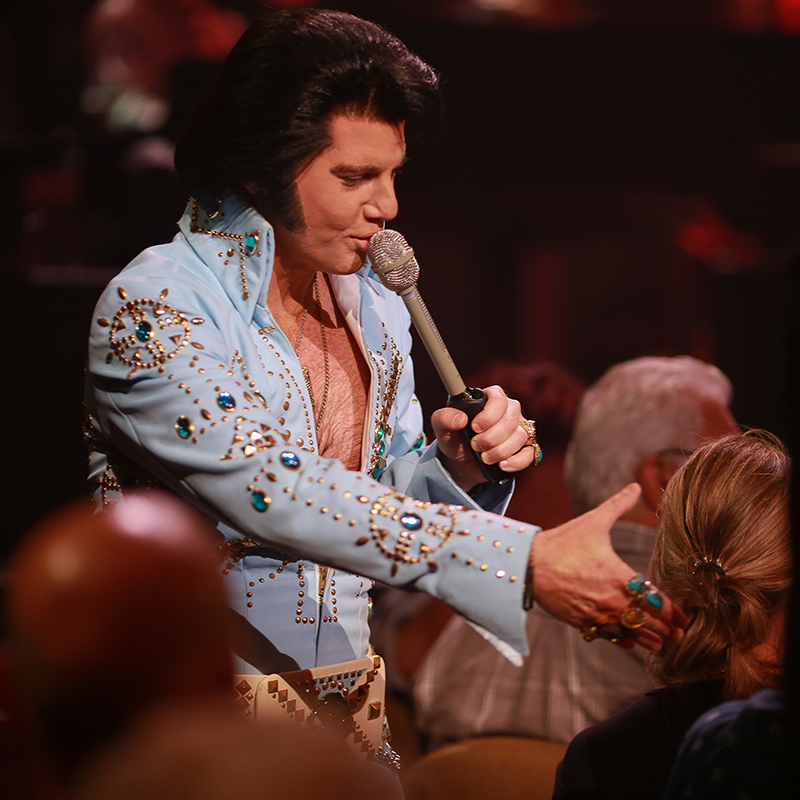 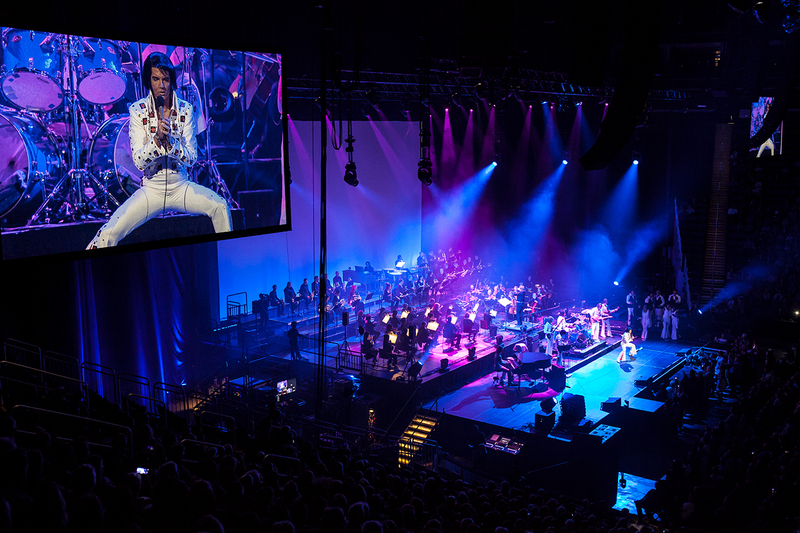 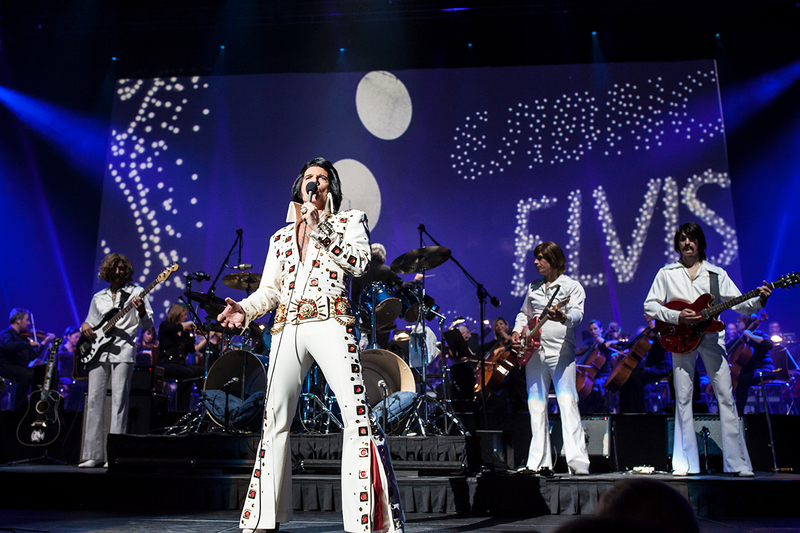 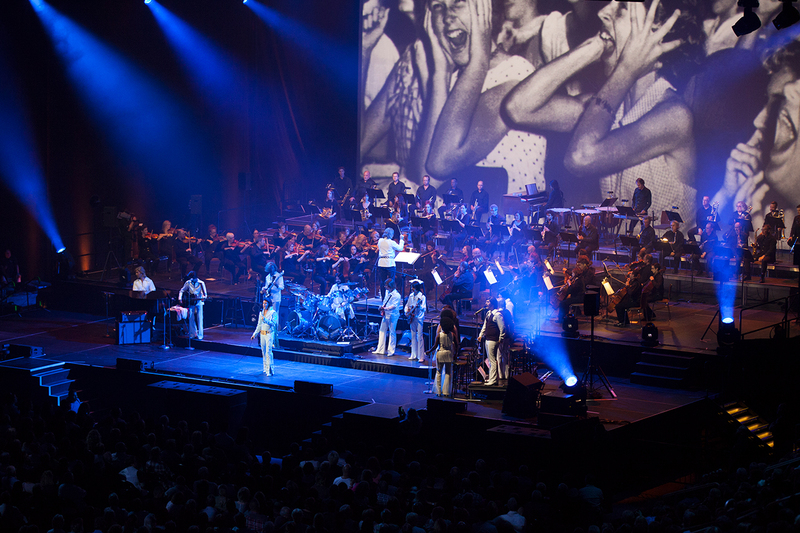 On August 16th, 2017, on the 40th anniversary of the death of Elvis Presley, LCQ Productions celebrated this sad anniversary in a great way by presenting for one night only, ELVIS EXPERIENCE SYMPHONIQUE. 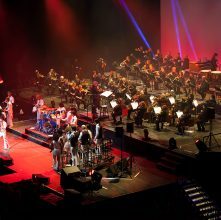 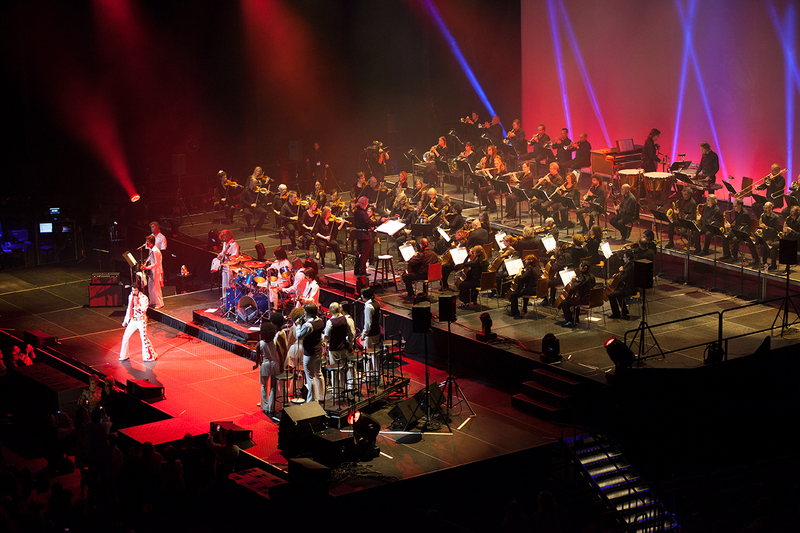 For this unique event, Martin Fontaine was surrounded by 80 musicians and choir singers, including those of the prestigious Orchestre symphonique de Québec. 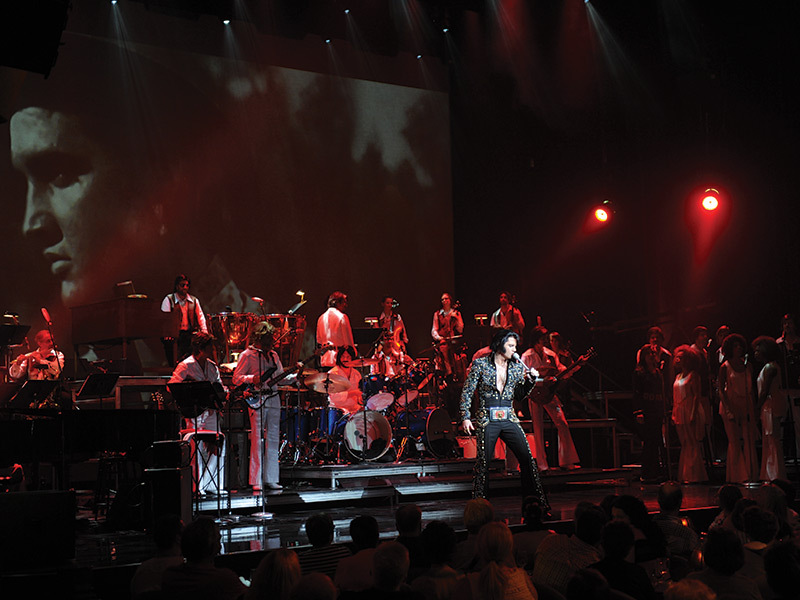 “A captivating show; chills guaranteed”. 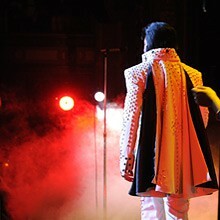 To be informed of possible additional performances, presales and onsales. 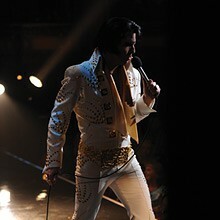 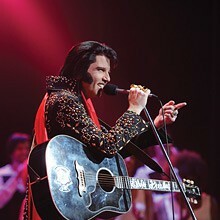 Elvis Presley’s name and image used in this show are under license (EPE) Elvis Presley Enterprises InC.